History will be created today as Fiji’s first non-stop Beijing-Nadi flight FJ2382 arrives at Nadi International Airport at 7.15pm. 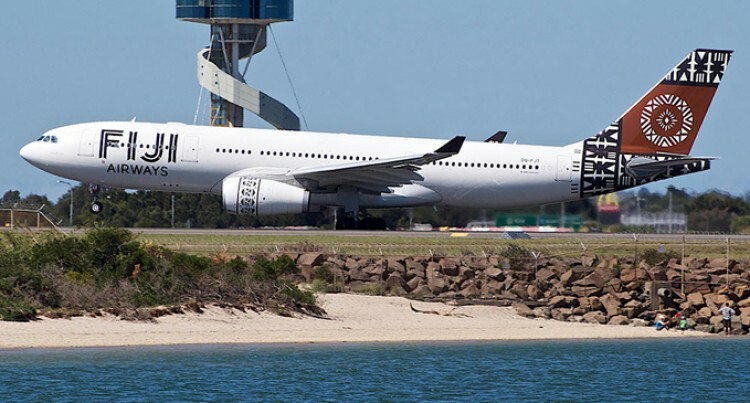 Chartered by Rosie Holidays, the brand new Fiji Airways Airbus A330-300 aircraft will have on board 300 new visitors from China. This is the first time a Fiji Airways jet has flown directly to Fiji from the Chinese capital. It is part of Rosie Holiday’s strategic push in promoting Fiji in mainland China. The chartered flight from Beijing is one of four charters Rosie Holidays have organised for the next two weeks to coincide with the Chinese New Year. There are two more charters from Taiwan scheduled for this month adding a further boost. The arrival is particularly exciting for Rosie Holidays because President, Major General (retired) Jioji Konrote, will personally receive and welcome the Beijing customers. He will be joined by the managing director/chief executive for Fiji Airways, Andre Viljoen. This is the second year Rosie Holidays has organised direct air charters to Fiji from mainland China, being spearheaded by Rosie’s general manager, Eroni Puamau. He has been assisted by Rosie’s sales offices in Shanghai, Beijing and Guangzhou, as well as Rosie’s key tour wholesale partners in China. Apart from the two direct Beijing to Nadi plane charters, Rosie’s has also sold two full air charters from Shanghai to Nadi. Mr Puamau said: “We are excited by our 2016 charter service from the two cities in mainland China. “Beijing is the capital and political heart of China, and with Shanghai, the business capital. Both these cities will deliver an affluent Chinese traveller eager to spend and experience a new and beautiful South Pacific destination. Mr Puamau said the Beijing and Shanghai to Nadi non-stop service is an important milestone in Fiji’s tourism history. He said it has only been achieved because of a strategic partnership between Rosie Holidays and its China partners, Tourism Fiji, Fiji Airways and the tourism industry. The four charter flights will deliver a total of 1200 tourists, more than double the 500 that came in the past year’s inaugural charter services from Shanghai. Tourism Fiji executive chairman, Truman Bradley, has welcomed the Rosie Holidays air charters especially because of the timing. In 2015, February recorded our lowest number of visitor arrivals of 42,175 compared to the highest in July of 79,494. “The timing is significant because February is ‘low season’ for Fijian tourism, yet high season for China,” Mr Bradley said. For Fiji’s National Airline Fiji Airways, the four charter flights by Rosie Holidays seals the in-bound travel company as a loyal and committed joint partner in developing the China market. Mr Viljoen said: “When Rosie’s initiated the inaugural charter services out of Shanghai to Nadi in February last year, it was an interesting experiment. Mr Whitton added: “We recently celebrated 160 years of the Chinese community living in Fiji and their contribution to our economy. The Chinese tourists will stay at Fiji’s major four and five-star hotels in the Yasawas and Mamanucas, on Denarau Island and along the Coral Coast.